Nashville Diggings It was called Nashville because a Mr. Nash found gold there. Nashville is now known as Gympie. 1867 Opened (39th Report) at Mary River. 1909 branch opened at Peeramon on the Atherton tablelands. Mr. Watts, son of John Watts was opening Manager. Peeramon was selected because the butter factory was to be established there – however in 1910 the butter factory was established in Malanda, where it remains to this day as does the branch in Malanda. 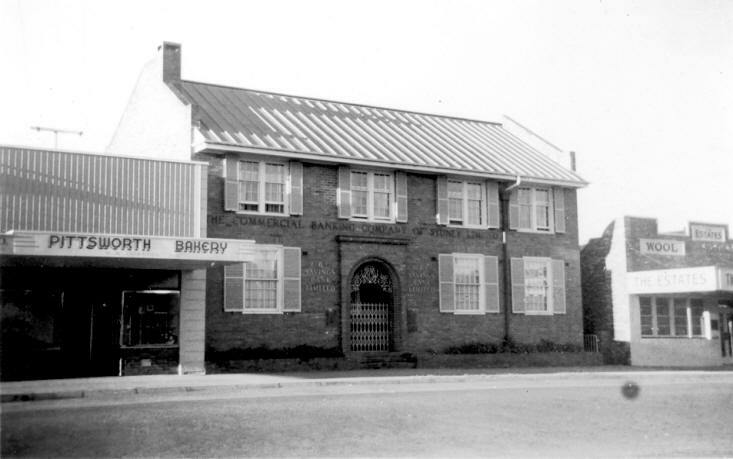 1911 The branch was closed in 1911 and transferred its business to Malanda, 3 miles away. 1927 A. Gibson was Manager. 1941-1944 TGM Fletcher was Manager. 2008 Whilst at a charity working bee at St. Ives recently Ray Knight met a man called John Watts. John’s father opened the CBC branch in Peeramon on the Atherton Tablelands in 1909. 2008 1976 Branch opened on 15th June by Warren John Neilson. 2008 GoogleMaps photo of 19 Main Street submitted by John Beer who reports that the branch was probably in the left side building, and that NAB may now be relocated in a shopping centre. Pittsworth is 41Km S/W of Toowoomba. 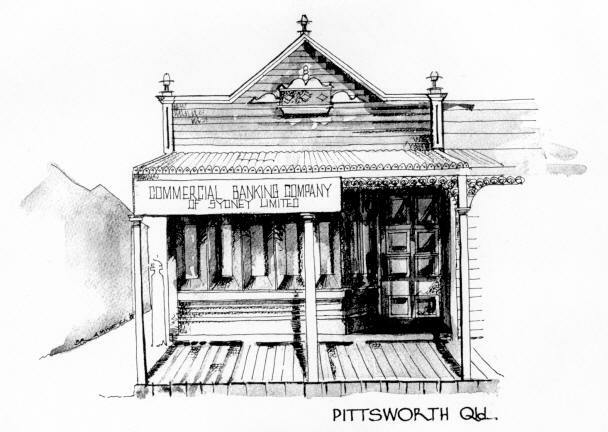 1915 Originally named Beauaraba, the town's name was officially changed to Pittsworth. 2009 Quilpie is 980Km west of Brisbane; 208Km west of Charleville, 120 miles (208Km) west of Charleville on the Bullu River. 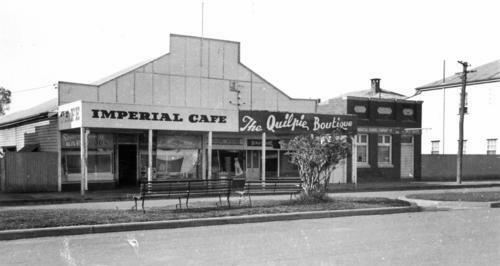 Durack family were Quilpie pioneers. 19730630-19760630 Bernie J Porter Manager Quilpie on Buller River busy 6 hander 120 miles west of Charlevlle. Don Scott said Bernie Porter resigned from CBC. 19770630 Manager Quilpie was J R Phillips. 2007 June; Kevin Nicol advises: I've just been speaking with Geoff Chapman who asked whether I could confirm that the small building to the right of the attached picture was our old Quilpie Branch. Photo from State Library of Queensland - 2nd version cropped to show CBC on right. It certainly is. I lost much sweat there as Second Officer from 1957 to 1959 when C.B . (Bernie) King was manager. 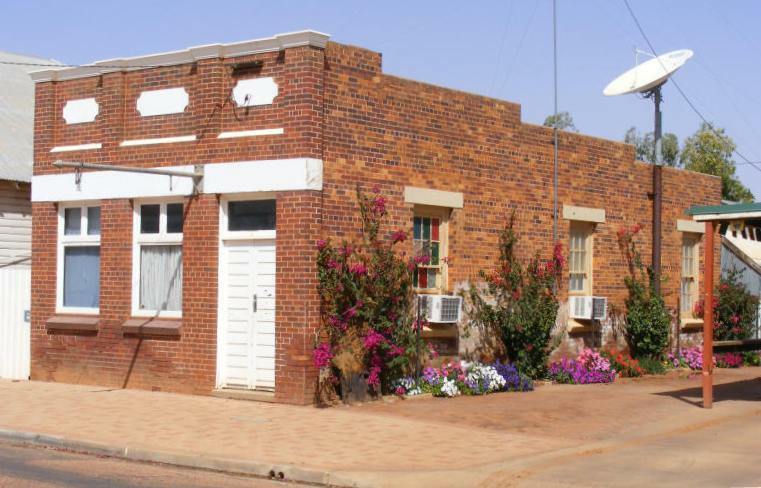 The building was owned by the Corones who also owned the Imperial Hotel, the building on the extreme right, and almost everything else in Quilpie. 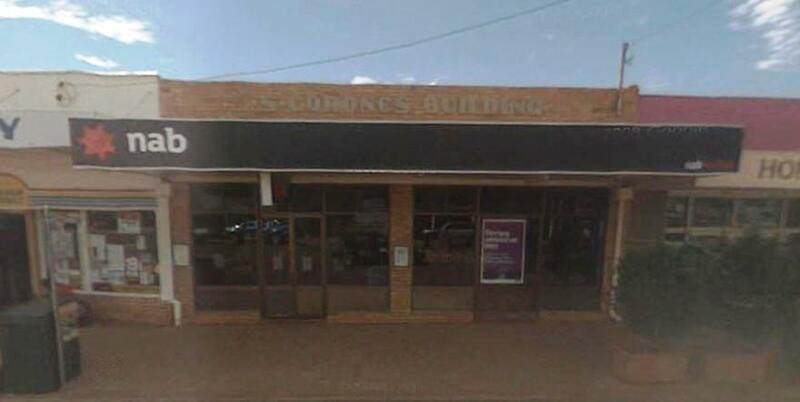 2007 The NAB branch at 29 Brolga Street (Corones Building) was not listed when NAB locations search reveals no NAB services in Quilpie. Comment from John Beer to the effect that the NAB branch in Quilpie was not listed when NAB locations search was conducted on computer. Quilpie NAB was not closed. (NAB error resulted in Quilpie not listed as a branch). 2008 September photo by Frank Maundrell of the old CBC building in Quilpie (owned by Corones) when he was there in September 2008. It is on the opposite side of Brolga St to the current NAB branch site at 29 Brolga St. When Frank was there it seemed alive and very well! 2009 January; Frank Maundrell states: "I, too have searched the NAB website and can confirm that Quilpie is NOT listed thereon! However, I was there last year and I can assure everyone that at that time the Branch was alive, well and apparently thriving! To try and get to the bottom of the mystery, I sent a message to NAB asking "What gives?". Today, I have received a very long winded response, but it boils down to confirmation that they do actually still have a branch at 29 Brolga Street, Quilpie Queensland 4480. The response included an apology for its absence from the website enquiry response, but no indication of what, if anything, would be done to correct the situation! I well remember learning right at the beginning of the computer age "Garbage in - Garbage out"! Never believe everything a computer (or anything else for that matter) tells you!" to which John Beer replies: "Frank, Thanks, I thought NAB said re merger that NAB was building a better Bank. It is about 12 months now that nothing has shown up for Quilpie. No wonder people are not using branches if search shows no nab services at that branch location!" 2009 GoogleMaps photo of nab at 29 Brolga Street (Diamantina Developmental Road) sourced by John Beer. 2012 The business of Quilpie remains at 29 Brolga St Quilpie 4480. 1986 Demolished to make way for shopping arcade.